CHEYENNE, Wyo. -- Wyoming has approved its first hunt of grizzly bears since the 1970s. The hunt this fall will be the biggest in the lower 48 states since the U.S. Fish and Wildlife Service removed protections for grizzlies in the Yellowstone region in 2017. The hunt's rules will allow up to 22 grizzlies to be killed in a wide area east and south of Yellowstone and Grand Teton national parks. The Wyoming Game and Fish Commission heard from hunt supporters and opponents before voting unanimously in favor of it Wednesday. Supporters say Wyoming's grizzly population can easily sustain limited hunting, but hunt opponents question that claim. Idaho has approved hunting one grizzly this fall. 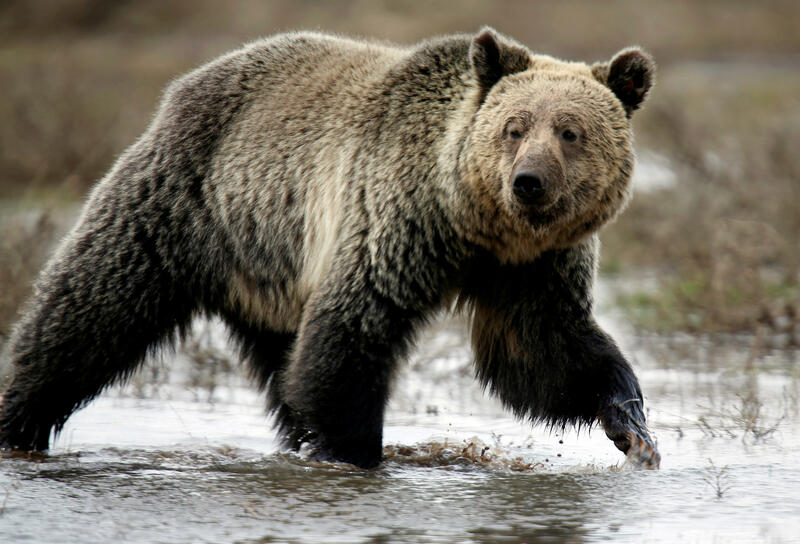 Montana has decided for now that it will not allow grizzly bear hunting. Meanwhile, the Trump administration is moving to reverse Obama-era rules barring hunters on some public lands in Alaska from baiting brown bears with bacon and doughnuts and using spotlights to shoot mother black bears and cubs hibernating in their dens. The National Park Service issued a notice Monday of its intent to amend regulations for sport hunting and trapping in national preserves to bring the federal rules in line with Alaska state law.